Shelter4U consists of an accomplished team of experienced professionals in key positions. The Company will continue to acquire and develop quality properties based on realistic values for its own investment affiliates. Business Turnover of Shelter4U is near to 100 Crore, short span of time, working with Major realty developers in Ahmedabad as well Pune and Mumbai, This would have been impossible without the talented people who work with us. But over the year, we are consistently done that. Shelter4u was a small startup, today we shine for the services & Trust we provide to our Clients. Portfolio of our services largely covers buying, selling, renting and leasing of properties like Residential & Commercial Projects. Finally, we believe that our business can be successful for generations only if we continue a Tradition of Trust. 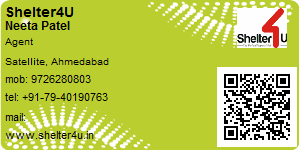 The Company is currently expanding in fast growing cities such as Ahmedabad, Pune & Mumbai. Ability to deliver Operational Excellence means that we are always ready and able to help our clients whatever challenges they face, wherever they are. We also place great emphasis on understanding and meeting the needs and priorities of our clients, including their sustainability objectives. Located at Vaishnodevi Circle in Ahmedabad, Reflections by Pacifica is inspiring in design, stirring in luxury and enveloped by verdant surroundings. Reflections by Pacifica is in troupe with many famous schools, hospitals, shopping destinations, tech parks and every civic amenity required, so that you spend less time on the road and more at home. 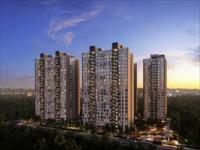 The Apartments are spacious, well ventilated and Vastu compliant. 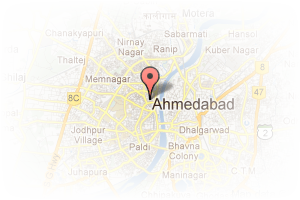 Address: 100 ft Aanand nagar road, Satellite, Satellite, Ahmedabad, Gujarat, India. This Broker Profile page for "Shelter4U" has been created by PropertyWala.com. "Shelter4U" is not endorsed by or affiliated with PropertyWala.com. For questions regarding Broker Profiles on PropertyWala.com please contact us.